As we support business development between Japanese and UK companies in relation to EV (Electric Vehicle) and energy management systems, it was very timely for us to understand the current UK government policy and industry leader’s insights. It was also beneficial to exchange views with attendees on technology and business development of zero emission / low carbon areas. Amongst the speakers, The Secretary of State for Transport The Rt Hon Chris Grayling and The Secretary of State for Business The Rt Hon Greg Clark clearly stated that the UK government is committed to its climate change target. They also stressed that zero emission vehicle technology and business development in line with the Industrial Strategy is vital for the UK economy and also for air quality improvement. Prime Minister The Rt Hon Theresa May also stated that the UK has an ambitious mission to put itself at the forefront of the design and manufacturing of zero-emission vehicles and government-industry-academia collaboration is very important. She also announced £108 Million government funding for innovators in ultra-low-emission vehicles and hydrogen technology. Through our projects, we had already identified that the UK placed importance on this zero- emission vehicle area. 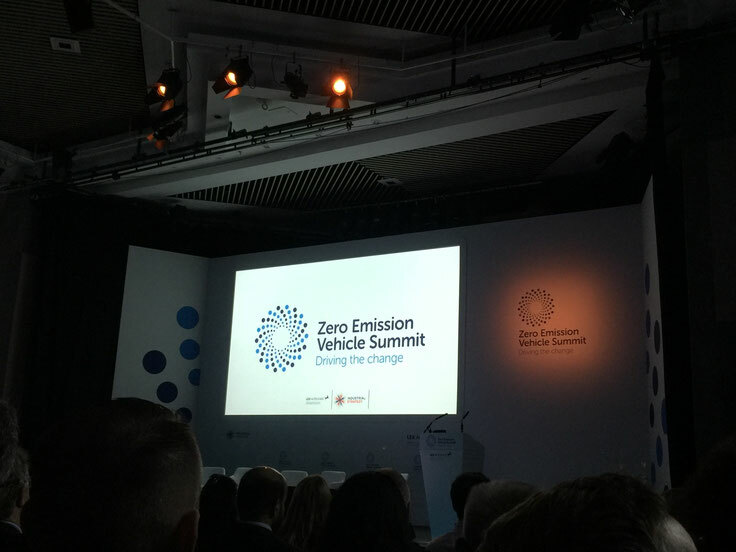 The Zero Emission Vehicle Summit proved this trend is continued or even enhanced.